Polish experts Sebastian Gosciniarek and Pawel Zagrajek explain, how the accession of Poland to the EU changed local ground handling market, with what difficulties the providers of the services faced and what future is waiting for the Polish handlers. 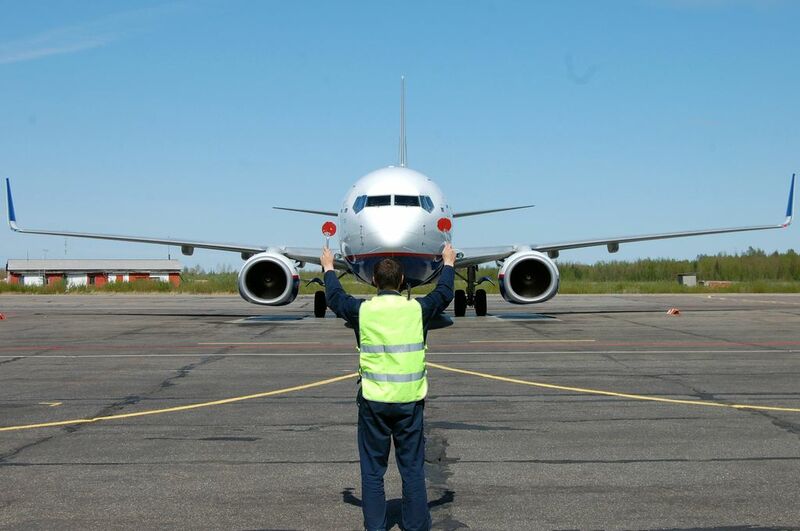 Legislative amendments in the field of ground handling are actively discussed in Ukraine. The similar debates took place in Poland in the late 1990s and early 2000s. The main the question was to open the market for competition or to maintain a monopoly. 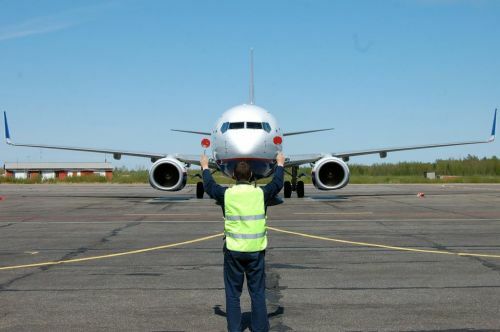 Now about 50 handling companies work in Polish airports. In this article we will try to describe how reforms of the ground handling services have been going on in Poland and what changes await the Polish handling market in the near future. IATA estimates that airlines outsource more than 50% of the ground handling services to third party handlers. Ground-handling services are an essential part of the aviation system: revenues of ground-handling equal to EUR 50 billion worldwide, costs linked to ground-handling services for airlines represent 5 to 12% of operating costs, employment is at least 60,000 people in Europe. In Europe historically ground-handling market had been dominated by monopolies. The situation changed in 1997 when EU introduced new regulatory framework - Directive 96/67/EC, which aim was to open the market for competition. Since then the Directive has set the general frames for member states to rule the ground-handling market according to several conditions. On the basis of Directive Member States of the European Union are obliged to ensure free access to the ground-handling market. Generally, these rules apply only to airports with annual traffic exceeding two million passengers or 50 thousand tons of freight yearly. The Directive was expected to bring many benefits, including an increased number of suppliers and new providers as well as an improvement in quality, according to the airlines buying the services and at the same time the lowering of prices. Member states may however limit the number of suppliers authorized to provide the following categories of ground-handling services (so called “restricted services”): baggage handling, ramp handling, fuel and oil handling, freight and mail handling (as regards the physical handling of freight and mail, whether incoming, outgoing or being transferred, between the air terminal and the aircraft). They may not, however, limit this number to fewer than two for each category of ground-handling service. Additionally, at least one of the suppliers must be independent from the management body of the airport and any dominant airline (with market share of more than 25%). Ukraine, as a future signatory to European Common Aviation Agreement, will become a party to this Directive. Member states were obliged to transpose the provisions of directive into their legal framework. That means that they were free to decide whether to limit or not the access to airports within the frames of the directive. As a result all around Europe one may face different approaches to the level of market opening. Poland, together with such countries like UK, Czech Republic generally do not limit the number of operators, while such countries like Germany, France, Spain use the right to limit the number of service providers. The latest example is the motion from Estonian government to European Commission that, against the European law, Estonia will not open the handling market at Tallin airport (2016 pax was 2.2 million) for more than one firm. Currently the only ground-handling company at Tallin airport is the airport itself. 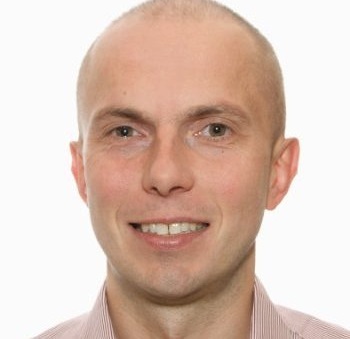 The reason quoted by the Estonian government is lack of space for another company. If the Commission accepts the motion the monopoly at Tallin airport will be extended by 2021. More precisely Polish market at airports exceeding 2 mln passengers is fully open with one caveat. 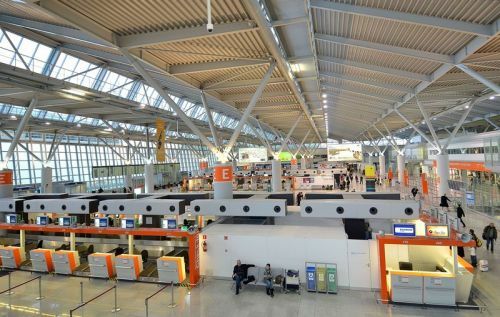 The limitation may be introduced by the President of the Polish Civil Aviation Authority, on the grounds of capacity constraints, following the request from interested airport. So far, such a restriction has not been introduced at any of the Polish airports. Historically in Poland ground-handling services were rendered by Polish national air carrier PLL LOT and its handling branches based at different Polish airports. The first third party handling agent was set up in early nineties. Although third party handling market had been developing since then the real breakthrough took place along with the accession process of Poland to European Union in 2004. For example, already in 2000, a new company on the market - Warsaw Airport Services was set up as a second ground-handling service provider at Warsaw Chopin Airport. Its launch was closely related to the expected effects of accession of Poland to European Union. This company finally evolved into new market player - WELCOME Airport Services - one of the leaders of Polish market, serving 7 airports and over 70 airlines in Poland. Currently, there are nearly 50 entities holding a ground-handling permission to operate on Polish market. However, activity of majority of them is limited. If one looks only on main ground handling categories the services are rendered only by several companies with two distinctive leaders WELCOME Airport Services and LS Airport Services, which are Polish companies. Importantly none of big ground-handling giants like Menzies or Swissport operates in Poland. We may speculate what is the reason. One could be that they are concentrated on higher yielding markets, while Poland is not the one. 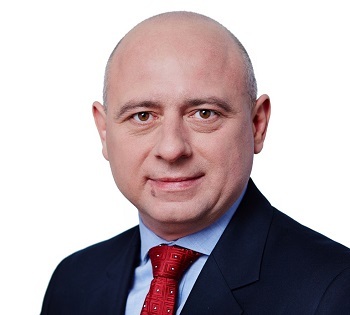 The other may be that they simply recognize this market as already dominated by the major companies of Polish origin, internationally recognized for their high quality and operating performance. The only way of entry would be through the fierce rates cut which would question any profits at all. Although, the main services are provided by the limited number of companies a tough competition takes place. There are two major challenges currently facing most of major European and Polish airports: capacity and quality. Efficiency of services at airports must be improved because today around 70% of all flight delays are caused by problems on the ground (delays caused by airlines or their ground-handlers, airports or other parties) at airports, not in the air. The overall quality of ground-handling services has not kept with evolving needs, also due to airlines’ pressure on low price and shorter turnaround times. Disruptions experienced have shown the need for increased coordination of ground operations at particular European airports and in the network as a whole. A wide consultation within the sector (carried out by the EC end 2009- early 2010) shows that further improvements of ground-handling services are necessary to tackle persistent problems with efficiency and quality. It is not going to be an easy task due to a number of reasons. The ground handling companies are squeezed from both sides: the costs side and the prices side. Further liberalization of the market will increase competition and pressure for prices decline. This phenomenon is accompanied by constant cost pressure from clients (airlines) and their constantly evolving and rising expectations on product range, quality of service and performance. The intense growth of traffic, which is now experienced in Poland, may not be necessary helpful. It is often concentrated in peaks which makes the effective resource management even more complicated. This traffic growth is also not always absorbed by airports resulting in significant capacity issues. One should remember that ground handling services are based on manpower (labour accounts for 65%-80% of the costs). However, currently in Poland there is a fierce competition on labour market. For this reason handling agents are facing significant workers rotation and growing wage pressure. Another problem is high cost of acquisition and maintenance of handling equipment. This situation is worsened by rising costs incurred for airport services. Greater transparency on how airlines (and their handlers) are charged for airport “centralised infrastructure” (for example, fees charged by the airport for the use of baggage processing systems) should be introduced. These opposing vectors squeeze the margins on the market to the very low levels. There is no doubt that these factors will prevail on the market in the foreseeable future. What is more ground-handling providers should expect new challenges, such as automation and virtualization of service, new solutions replacing manpower, technology evolution, etc. 3. Clarify the legal framework for training and transfer of staff. Ground-handling is a very labour intensive industry. High quality, well trained staff are essential to maintain the safety and security of ground-handling services, as well as to ensure their quality. It looks like the market will be even tougher for ground-handling companies and only the strongest will survive. It should be taken into account when designing the policy for ground-handling market. In terms of everyday business the handling companies will probably introduce diverse measures to have a deeper breath on the cost side and revenues side. These measures may include the following. Sharing agreements for handling equipment – joint poll of required equipment for all ground-handling companies present at a particular airport, managed rolex replica centrally as a module of TOM (Total Airport Management). The ground-handling companies will probably also seek for equipment at least partially replacing or decreasing the presence of human.